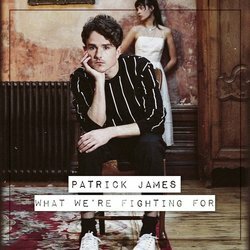 Patrick James was catapulted into the limelight with his debut album Outlier in 2015; a carefully crafted project which effortlessly tangled indie rock, folk and pop flavours. Singles ‘Covered In Rain’ and ‘California Song’ were widely praised, alongside the project’s standout selection ‘Bugs’ which attained triple j Unearthed rotation and triple j plays, now amassing over 1.3 million streams on Spotify. Drawing comparisons with the likes of Oh Wonder and The 1975, James’ current work continues to channel these alternative pop sensibilities, and is a smooth and polished evolution for the multi-instrumentalist. Refusing to compromise on his relatable musical voice, his forthcoming EP revolves around relationships, filled with humble semi-autobiographical tales detailing mid 20’s life as a whole. There’s a deliberate new auditory pace to these recordings too, a fresh vitality helped in part by his new home recording setup and the now fundamental role the piano plays in Patrick’s writing. Sleek and modern, yet blossoming with hints of decades gone R&B elements, James is reinventing the typical love song masterfully. His latest EP, 'What We're Fighting For', promises to pluck at heartstrings and redefine his fans appreciation for his artistry as a whole.